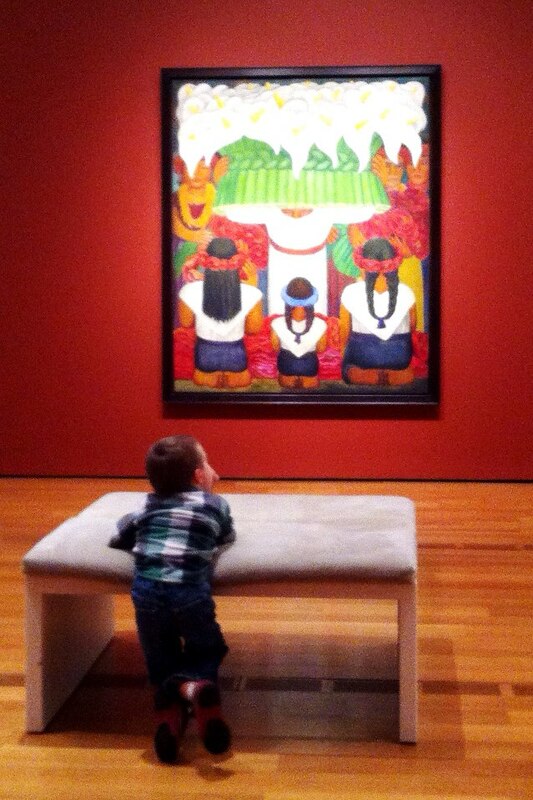 We are regular visitors to art museums and galleries. This was a favorite pastime that my husband and I pursued before we had our children; and, we decided it was something we wanted to keep doing in spite of the odds little ones bring. I enjoy taking the kids to the art museum in our city regularly, not only to expand and stimulate their little minds but to feed mine simultaneously. We frequent the designated ‘Art for Toddler’ days, where they can take part in a themed art project and listen to a story read aloud in one of the galleries. Yes, right in the middle of the priceless permanent collection, where adults usually step quietly and look contemplatively, a carpet is comfortably thrown out under a highlighted piece of art. Little bodies that can’t sit still long and little mouths that have to be shushed often, clump together to listen to a children’s book read aloud. 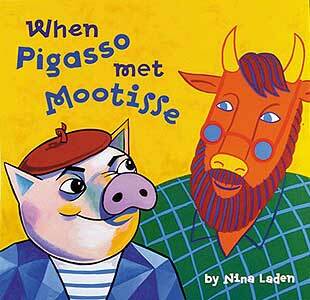 One of our favorites thus far being, ‘When Pigasso Met Mootisse’, by Nina Laden, a must read for any age. 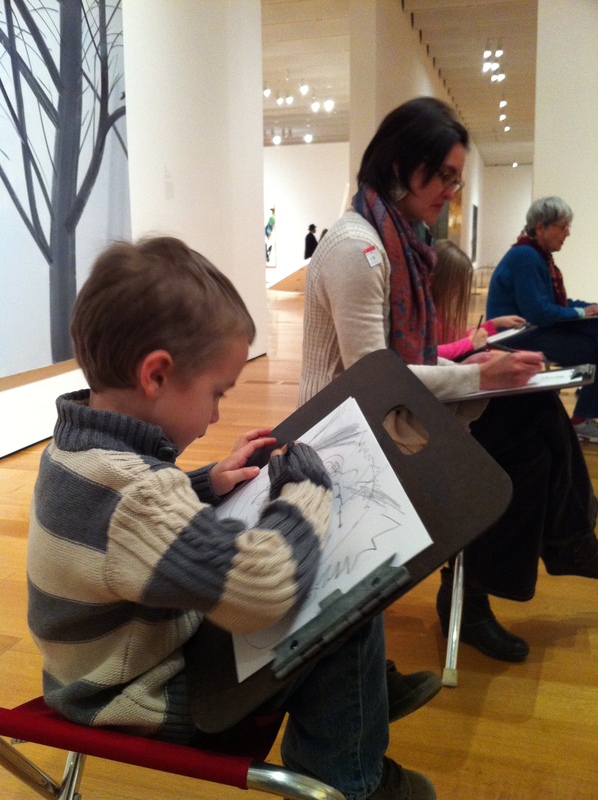 People have asked me how and even why we attempt to take our kids to art galleries. Well, call us crazy, but we have done it since they were born and believe it has provided a slow acclamation to the gallery environment. Yes, we often have to make concessions because our kids on certain days may be too tired or ancy for a museum or gallery visit. However, instead of just claiming it can’t be done in this season of life, we adjust. We take into account the reality that they are children with short attention spans, aren’t that great at whispering and often have a high need for a good long nap or jumping session. I can’t expect them to be like a 30 year old when taking them to an art exhibition. Having a museum membership allows us to go more often for shorter, do-able amounts of time. We don’t try to see the whole museum in one go, but visit part of it and save the rest for another time. I have found that by doing this, the kids not only endure the gallery visit, but enjoy it while it fosters in them a foundational appreciation for looking at art. And, instead of it being on the list of “what not to do with young children“, it has developed into an activity that our family does regularly, not only at home but when visiting other cities here in the U.S. or abroad. Instead of annoyed looks from those around us, we received smiles of approval, which only satisfies and relieves this art-loving parent.